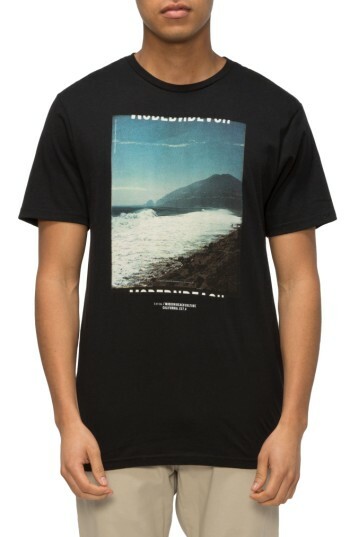 Description: Crashing waves and open sky pop against a jet-black T-shirt detailed with signature typography graphics. Color(s): black. Brand: TAVIK. Style Name: Tavik Views Graphic T-Shirt. Style Number: 5351976. Available in stores. Crashing waves and open sky pop against a jet-black T-shirt detailed with signature typography graphics. Color(s): black. Brand: TAVIK. Style Name: Tavik Views Graphic T-Shirt. Style Number: 5351976. Available in stores. Enter the details of an online store that carries UPC 190333088742 below. The store's URL must go to a valid product page that has the product displayed with pricing information.